The A320 Personal Mixer has 16 mix channel buttons. Many people assume that this makes the A320 a 16-channel mixer. But it’s much more than that. Each button can be stereo if you have enough input sources, and that relates directly to better sounding monitor mixes. Here’s how you change the A320 ‘s modes. The A320 can operate in one of two modes, 16-channel or 32-channel, which accommodate the two versions of the A-Net protocol, Pro16 and and the enhanced, high channel count version, Pro16e. Which mixer mode you should use is based on the number of input channels your personal mixing system has. By default, the A320 ships in 16-channel mode, so there is nothing to change if you want to plug your A320 into a 16-channel system. 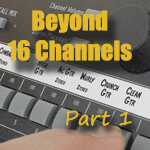 A 16-channel system is one with a single analog input module such as the AN-16/i, or a single digital console card such as the Y1 card for Yamaha consoles (or an A-Net console card made by any of our third-party partners). In the 16-Channel Mode, each A320 channel button holds one mono source; a stereo source will be mapped to two adjacent channel buttons (in odd-even pairs). 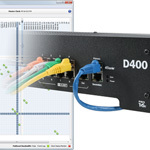 When a system includes multiple input devices, console cards, or a Dante network, the 32-channel mode can be used. 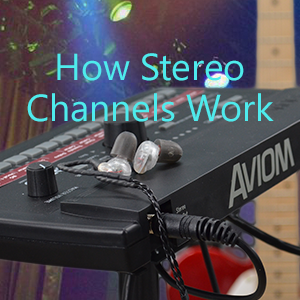 In 32-Channel Mode, stereo inputs are mapped to a single A320 mix channel button, allowing up to 16 stereo inputs to be used. To set the A320 to use 32-channel mode, hold the Mute and Channel 2 buttons while powering up the unit. 32-Channel Mode: Hold Mute plus the Channel 2 button while powering up the A320. To set the A320 back to 16-channel mode after using the 32-channel mode, hold the Mute and Channel 1 buttons while powering up the unit. 16-Channel Mode: Hold Mute plus the Channel 1 button while powering up the A320. Once the mixer mode is set, the A320 retains the setting through power cycles and will only need to be changed if the input section of the monitor system it’s connected to changes. « Cat-5 Cables: Which Should I Use?